We are dedicated to helping you find your perfect property in the Cotswolds; whether you’re looking to buy or you’re searching for a rental property. 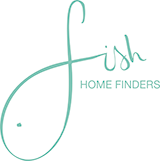 As a property finder in the Cotswolds, we aim to meet your every requirement through our tailored home finder services; saving you valuable time, money and hassle. The Cotswolds is a range of hills, 25 miles across and 90 miles long, in west-central England, that has been designated an Area Of Outstanding Natural Beauty – the largest in the UK. The spine of the Cotswolds runs south west to north east through six counties, particularly Gloucestershire, west Oxfordshire and south western Warwickshire. On the eastern boundary lies the city of Oxford and on the west, Stroud. To the south the Cotswolds reach as far south as Bath. The area is characterized by attractive small towns and villages built out of the honey coloured Cotswold Stone. It is an affluent region, attracting people who own second homes or have chosen to live or retire here for its idyllic rural lifestyle. Typical Cotswold towns are Bourton-on-the-Water, Broadway, Burford, Chipping Campden, Chipping Norton, Cirencester, Moreton-in-Marsh, Stow-on-the-Wold and Winchcombe. There are numerous outstanding state schools in the Cotswolds region and an excellent selection of independent schools, including Westonbirt School in Tetbury, Cotswold Chine House School in Stroud, Kingham Hill School in Chipping Norton and the renowned Cheltenham Ladies College. The Cotswolds is ringed by the M5, M40 and M4 motorways providing easy access to the area. Other major roads are the A46 Bath-Cheltenham, A419 Swindon-Stroud, A429 Cirencester-Moreton-in-Marsh and the A40 Oxford-Cheltenham. There are high speed rail services to London from Bath, Swindon, Oxford, Cheltenham and Worcester. There are regular rail services available from Kemble station (approximately 1 hour 40 minutes to London) near Cirencester, Kingham station near Stow-on-the-Wold and from Moreton-in-Marsh station. The town of Chipping Campden is notable for being the home of the Arts and Crafts movement founded by William Morris at the end of the 19th century. Chipping Campden is also known for its annual Cotswold Games, a celebration of sports and games dating back to the early 17th century, held nearby at Dover’s Hill. South of Cirencester is the Cotswold Water Park. With over 140 lakes covering an area of 40 square miles it is Britain’s largest water park. The park includes bathing beaches, a variety of water sports, camping and bird watching, as well as up market waterside residential developments, hotels and restaurants. For further information visit: www.cotswolds.com. As a property finder in the Cotswolds, find out how we can help you find a home perfect for your life with our personal property finder services. Please don’t hesitate to contact us on 01789 491626, or complete our simple email enquiry form.